These extremely soft microfiber towels are perfect for pampering the interior of your vehicle, and the flat weave microfiber with a satin edge won't scratch navigation screens or snag on instrument controls. Use these 16" x 16" towels along with your favorite Golden Shine car care product for removing dirt and grime or to add a protective layer to plastic, leather or vinyl. The flat weave design stretches the life of car care products as it minimizes absorption, or you can use as a duster without any product. 3-pack. 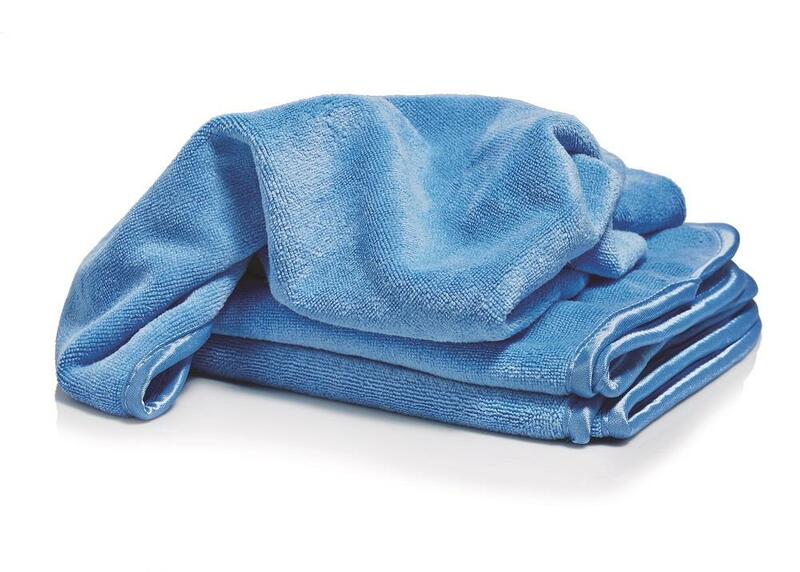 Measure a generous 16" x 16"
Microfiber towels can safely be cleaned and washed in your home washer and dryer. To clean, simply wash towels with our Micro Fiber Towel Detergent or mild laundry soap in warm water. For heavily soaked towels extra rinse or detergent may be required. The towels can be dried on regular heat in the dryer. Do not use fabric softener in either the washer or dryer as this may damage towels.